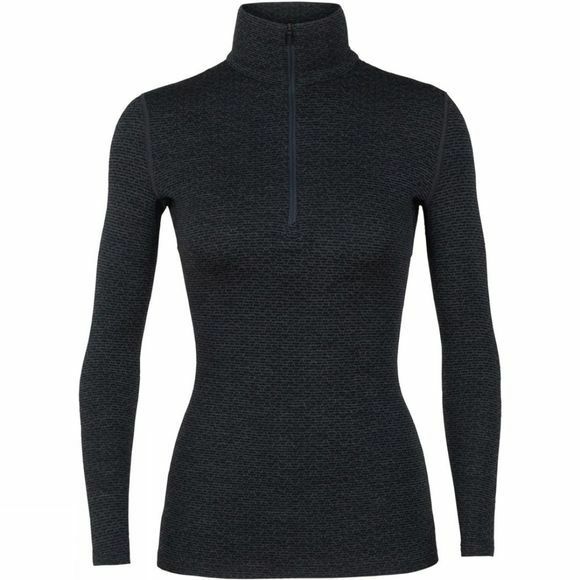 The Womens 250 Vertex Long Sleeve Half Zip Mountain Dash Top from Icebreaker means whether worn as a warm midlayer on fall trail runs, a heavyweight baselayer on cold days of skiing, or as a cozy top for post-adventure relaxing, the 250 Vertex Long Sleeve Half Zip Mountain Dash is a versatile favorite. Made from warm, stretchy and incredibly soft 100% merino wool with a cozy jacquard knit, the Vertex features a half-zip design that lets you easily adjust to changing temperatures. The droptail hem offers additional coverage, while offset, flatlock seams prevent chafing when you’re wearing a pack.